Our Slim 6 inch glow sticks can be used for Outdoor lighting, glow stick dancing, area markers and personal safety lights are just a few ideas these glow sticks can be used for! 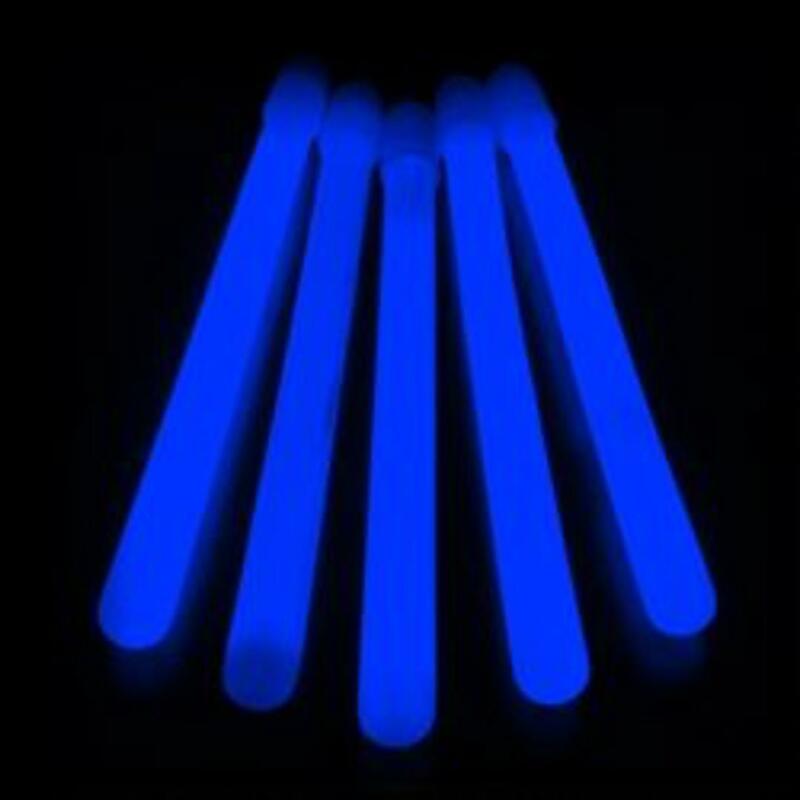 Everybody from cheerleading squads to the military loves our world class, high quality 12HR 6" glow sticks! Safety and emergency lighting, glow stick dancing, instant patio lanterns, area markers and personal safety markers are just a few of the jobs to which these awesome light sticks have been put to the task. Use 6" glow lights for a great glow effect at special events like wedding receptions and concerts. Great for use as people markers when Trick or Treating. Night Golfers - use six inch glow sticks to mark out hazards, tees, fairways and pins. An amazing source of waterproof, non-sparking, non-heat producing glowing light, the 6" 12 hour safety glow stick is safe to use in any environment - even underwater. Which is why the US Marines, the British Air Force and the Canadian Coast Guard all use our 6" 12 hour glow sticks. From emergency task lighting to markers for night sports, the 6" light stick can do it all!